A friend sent me this link. I love it and wanted to share it with my friends! The school year is waning. Time to evaluate our curriculum. What did we start with? What are we using now? Bible: For our home, for the most part, we still thrive best with straight Bible reading. We are currently focused on Old Testament History in the book of Judges, with additional reading in the minor prophets and the New Testament. Science: We started the year focused on Chemistry. We were using Fascinating Chemistry. I had access to Apologia Chemistry, tho, and switched to it so we could do the lab work, too. This worked for awhile, but we just weren't getting the lab work done. I decided we could skip the labs and just do the book work. But the student was struggling, so we switched back to Fascinating Chemistry. Then the student still got stuck, and stuck is where we remain. Simultaneously, though, the student has also been studying Aeronautics in Civil Air Patrol (for over a year). I will be evaluating this to determine whether there has been enough work completed to count a science credit in Aeronautics. Or we might figure out how to finish Chemistry. Or we might not count a science credit this year. Spanish 1: We began the year using Bob Jones Spanish 1. 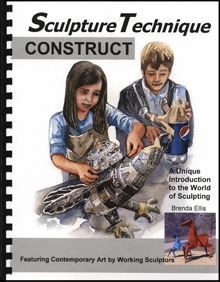 I purchased this complete program at the state Home Educator's vendor hall. I was assured by the saleswoman that, even though I don't speak Spanish, with the recordings I was purchasing we would be able to do this. She lied. Okay, maybe that's a little harsh. How about, "What was she thinking?" First, I thought I had purchased DVDs. They were CDs. Second, when I decided it wasn't working I tried to return everything and couldn't -- three month return policy. Our state home school "convention" is in mid- to late- April. By the end of September, when one knows something isn't working, it has been five months. I didn't buy anything from Bob Jones last Saturday at the 2016 Home School Convention. ::sigh:: Anyone want to buy a barely used complete BJU Spanish 1? We were able to transition to Middlebury Interactive Languages Spanish, but my son still just couldn't keep up. We decided to drop Spanish and revisit it next year. English: We began the year doing literature and composition using Tapestry of Grace, with some grammar from IEW (Fix It Grammar). 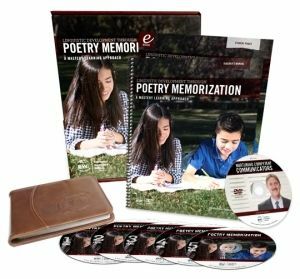 We've now added IEW Poetry memorization, which we will review soon. We are also reviewing Memoria Press Traditional Logic. I can't decide if this counts as its own credit or as part of English 10 (might depend on how much of it he completes, but I'm leaning toward part of English as it is a lower level course). My son will get credit for 10th grade English. In addition, my son is almost done with ENGL 101 at the local community college, which will either count as one of his high school English courses or as an elective. Social Studies: We began the year with Tapestry of Grace. We needed to finish Year 2 and do Year 3 (1800s). Took so long to finish year 2 that I opted to switch to a different curricula to try to do all of the 1800s in the time we had left. Still need to evaluate our status. Next year will be 20th Century studies regardless. Fine Arts: Our state requires one credit in fine arts for high school graduation. My son will be receiving half credit in Art and half credit in Music Appreciation. 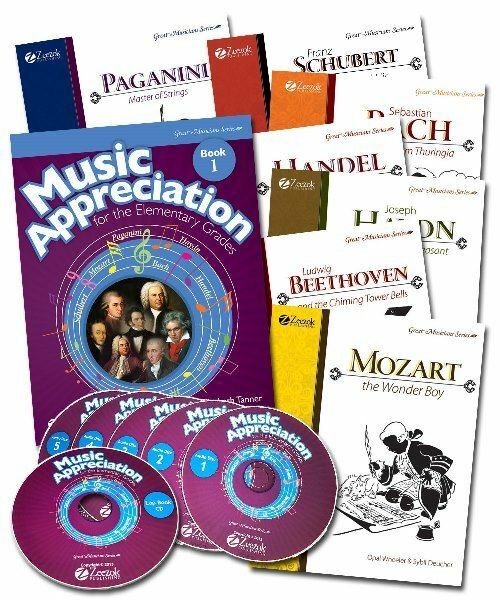 We are currently reviewing two art products and a Music Appreciation product that you will see reviews of soon! PE/Health: My son will also receive 1/2 credit each for PE and Health this year. In mid-March I learned I would be receiving a product called "GREEMU," made by Devonian. The name "GREEMU" comes from combining "Green" with "Emu". 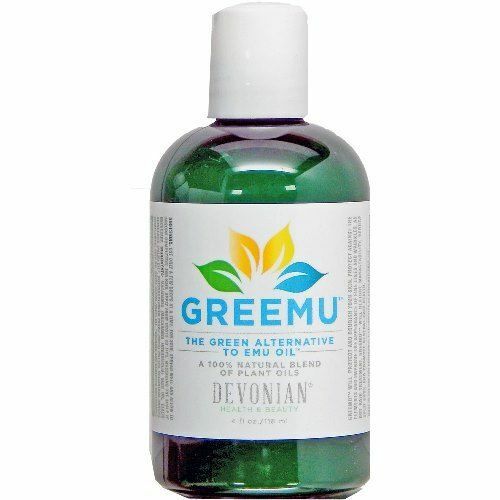 GREEMU is for folks who are looking for a "green" alternative to emu oil, since emu oil comes at the demise of a beautiful emu! So GREEMU is a product made entirely from plant extracts, with the goal of replicating the beneficial aspects of emu oil. After a long, dry winter, my shaved legs were dry and flakey and needed help. The product I have been in the habit of using is not natural and I wanted a natural product for my skin. It's not good to moisturize with Capric Triglyceride, Dimethicone, Octyldodecanol, Petroleum, etc. You get the idea. The first day I just slathered the GREEMU on. Couldn't hurt, right? Well, it left my skin oily. User error. So on day 2 I read the directions. "Apply 3 drops at a time over small areas." Oh. Oops! So from then on I was a little less liberal. So what did I think? Well, by the end of the first week my legs were thanking me! No more crocodile scales! Amazing! No more dry itch! Happy customer here! This is a product I will use 'til it is gone! 1. I'd like it if there were a cleaner way to dispense the oil. I found this bottle style messy -- the oil got on the outside of the container, dripped onto my sink from the bottom of the bottle. Not very clean. 2. I'd like it if the label were easier to read. I didn't initially follow the directions because I didn't see them. Once I found them, I could barely read the tiny pale gray print on the white label. I tried to photograph it, but my iPhone couldn't see it either. Since it didn't realize there was print there, it didn't focus, and the label photo was a blur. I'd much prefer larger, dark black print that I can read. Overall, though, I love my GREEMU oil. I used GREEMU on my legs, but there are many potential uses. When I was a kid, I used to get alligator elbows - this would be good for that. When I was older I used to get calloused knees (housework kneeling). GREEMU would be good for that. You can also use it lightly on your hair to relieve dry hair. It can also reduce split ends, and can be used as a conditioner to make your hair manageable. GREEMU protects your skin, so would be good to use on dry hands. It can reduce wrinkles, so is good for face and neck. Sounds like there are many more ways I can try it now that I have decided I like it. The main place I use a petroleum-based lotion daily, at this point, is my feet. I guess I'll try replacing my non-natural foot lotion with GREEMU next. I highly recommend GREEMU and encourage you to give it a try. I think you will like it. 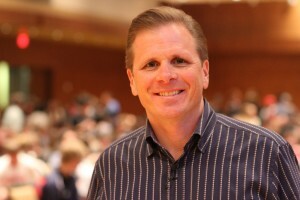 There was a guest speaker at church today named Frank Turek. He was fabulous! He is devoted to apologetics - defending the position of faith in Jesus Christ as the Son of God. As he spoke, I learned he is co-author of a book that was, as I recalled, recently reviewed by The Old Schoolhouse Review Crew, I Don't Have Enough Faith to be an Athiest, a review for Apologia. Frank Turek is ex-military (Navy), which gives him extra points where my teen-aged son is concerned, and Dr. Turek's son is in the Air Force, which counts even more points with my son! So I came home and searched for the book review to link it here. It took place in August of 2012. What?! August of 2012? That's crazy! It just happened! How could four years have passed since that review? I have no idea! Well, I wasn't on the review, so I bought the book as well as a 2nd book, Stealing from God, which talks about how athiests have to steal ideas from God's creation just to argue against Him. I am looking forward to both books. The website he is affiliated with, CrossExamined.org, is a great resource. It has links to his television show (which airs Wednesday nights on Direct TV channel 378), radio and podcasts, videos, and a free app. Three-fourths of the children in evangelical homes, 75%, walk away from the faith when they leave home as adults. Dr. Turek has a heart to help parents prepare their students to defend their faith so that when they encounter opposition as adults they do not cave, but actually stand strong in defense of their faith. I am so excited to have learned about this ministry as the parent of a teen-aged son. I have two years left til high school graduation. I plan to work to integrate our Bible studies with strengthening apologetics to ground my son in my faith. I hope you'll join me! You can also find CrossExamined.org on Twitter and Facebook ("Twit-faced"). Join me, and let's prepare the next generation so we can pass the baton! 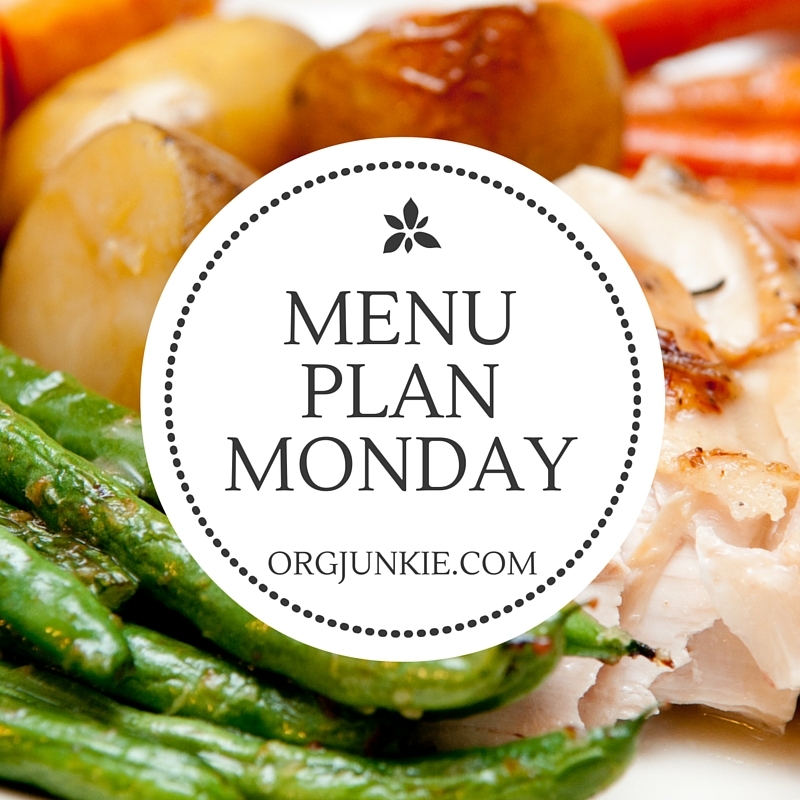 Today I get to tell you about a really cool product! Back in February I learned I would be one of the Schoolhouse Review Crew members who would be reviewing the Exclusive High School Diploma for HomeschoolDiploma.com. The Crew doesn't have all that many graduating Seniors available, so to get enough families to do this review they had to expand their offerings. The review was available for anyone who graduated anywhere from 2010 to "will graduate" in 2018. My son will graduate in 2018, so I was eligible! So, with tradition in mind, I thought, "How cool would it be if I could provide my son with a nice diploma similar to his dad's and mine!" 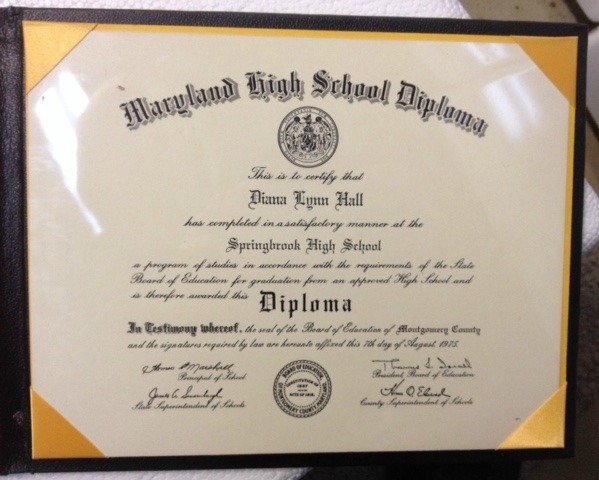 When you go to HomeschoolDiploma.com to order your diploma, you need the graduate's full name and a specific graduation date. You choose from a selection of seals to emboss the diploma with. I chose a round, gold seal for the diploma itself, and what looks like a coat of arms for the padded cover. I chose this seal for the cover because it most resembled the seal on my husband's and my diplomas. Then there were other decisions to make about how many signatures there would be, etc. Customer Service quickly and professionally resolved my issues. HomeschoolDiploma.com is a division of Cornerstone Graduate Supply, Inc. They carry a wide variety of things that can make high school and graduation special. They carry high school rings -- oh I wish I could get my son a high school ring! Then the back of the envelope was sealed with a beautiful "2016" sticker. Then the invitation was an envelope inside an envelope, like a wedding invitation would have. Then, when you opened the tri-fold invitation, it contained a card with directions to the graduation party after the ceremony, and an inserted card for the attendee to show to get into the event. All of the products produced by HomeschoolDiploma.com are very high quality. I am really pleased with what we received. I think you will like their products, too! 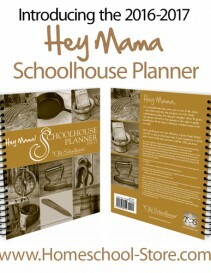 So if you have a high school student in your homeschool, go look at what HomeschoolDiploma.com has to offer now so you can set some money aside and plan to buy some graduation items that will make their homeschool graduation a very special memory! I really can't wait for the day when I will present my son with his homeschool graduation diploma!